Today I celebrated Mother’s Day as a daughter, mother and grandmother. My son-in-lay invited four generations of women to lunch: my mother and me, my daughter and her two little girls, 4 and 2, and my son’s daughter, 3. Lunch was lovely. We ignored the spilled glass of orange juice, the I-don’t-like-it whining and the crumbles forming a hidden mess under the table. It took fifteen minutes to sit the ladies for the picture of the century. Moving my mother and her walker to a strategic place, and then having her hold on the rail of the restaurant's entrance stairs wasn’t too difficult, but gathering three laughing, squealing and squirming little girls and having them stand still for two seconds was an enormous challenge. But the effort was worth the pain. The children are growing too fast and we don’t know how long we will be blessed with my mother’s presence. Sometimes Mother’s Day is a difficult time. I know it is extremely difficult for my cousin who lost her mother a week ago. For her and her family, Mother’s Day consisted in a trip to the cemetery to deposit flowers on a new grave. Enjoy your mothers and enjoy your day as a mother. My mother left us two years later. To honor her I wrote a romance novel called MOTHER'S DAY BABIES, a novel full of emotion and humor. I had two great models for my middle-aged heroine, my mother and mother-in-law. Both spoke their minds and distributed good advice whether you wanted them or not. Most of my books include a grandmother among the characters. Depending on the setting of my stories, the children call her grandma, momom, abuelita, nonna, yaya, or baboushka, but the grandmothers in my various novels have a lot in common. Like my mother and my mother-in-law, they adore their grandchildren, cook delicious meals, and often meddle in their children’s life —for the children’s good, of course. They are strong women who have encountered their shares of problems and learned life’s lessons from personal experience. They are also generous mothers who would go out of their ways for their families. This book is dedicated to the mothers we celebrate and those we remember with love. Widowed for seven years, Barbara Ramsay lives and breathes for her five grownup daughters and their babies. She's also used to chatting over the phone with her good friend, Lou, and soothing his stress. But why has he invited her to come to Paris with his TV Network crew? Powerful News Director, Lou Roland is certainly not marriage material, yet he has suddenly decided he wants Barbara in his arms. Not an easy task when his pretty confidante from Kentucky proves so difficult to date--unless he follows her rules. Can the over-fifty confirmed bachelor and the widow loyal to her husband's memory find true love and share a future? 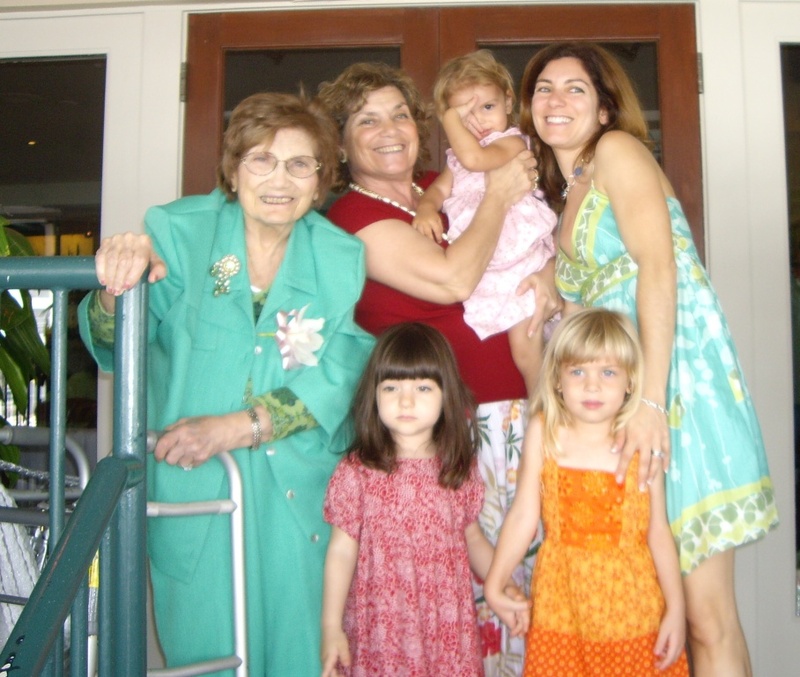 Beautiful post and tribute to mothers and grandmothers everywhere, Mona. I loved Mother's Day Babies!